Book your Svalbard Expedition for 2020 latest by the 31 May 2019 and receive a discount of USD 300 per person! Prices online do not show the discounted rates. Terms and Conditions apply, special offer is subject to availability, please contact us for more details. Join a once-in-a-lifetime adventure in one of the world's most remote wildernesses! In July the summer has arrived, the midnight sun reigns supreme and the purple saxifrage decorates the slopes. The ice is slowly starting to loosen its grip, which offers good opportunities to explore the seldom visited eastern parts of the archipelago. Whales are more frequently seen in the waters and more and more snowfree areas become accessible for longer walks. Later in August the sun is closer to the horizon, preparing for the polar night, giving us beautiful sunsets and a warm light, perfect for photography. With ten nights on board we have plenty of time for grand nature experiences. Here are some examples of places we may visit: Northwest Spitsbergen & The scientific village of Ny-Ålesund. Magnificent fjords - Svalbard offers the visitor countless spectacular fjords. During our journey we will explore a few of them such as: Liefdefjorden, & the spectacular Monaco Glacier. Krossfjorden & the 14th of July Glacier. Raudfjorden – dominated by beautiful glaciers. Hinlopen Strait and Alkefjellet Eastern Svalbard & The island of Nordaustlandet with huge glacier fronts here, intersected by hundreds of waterfalls. Barentsøya and Edgeøya offer magnificent landscapes and vast tundra. Southwest Spitsbergen & the grand fjords of Hornsund offer spectacular glaciers. Hornsund is a favourite haunt for some of Svalbard’s polar bears and bearded seals are often seen resting on the fjord ice. The triple cabins have upper and lower berths. In your cabin you find a desk with a chair and a cupboard for storage. Cabins have two lower berths or a double bed. In your cabin you find a desk with a chair and a cupboard for storage. Cabins have two lower berths or a double bed. In your cabin you find a desk with a chair and a cupboard for storage. The superior cabins are spacious and have armchairs and TV. In your cabin you find a desk with a chair and a cupboard for storage. The owner’s cabin has a double bed, two large picture windows, a separate seating area and TV. We are now in a part of the world where we are totally dependent on the ice and weather conditions. Our exact itinerary depends on these factors and on the wildlife we encounter. Our ambition is to make landings or cruises every day with our Zodiacs. Here are some examples of places we may visit:Northwest SpitsbergenThe scientific village of Ny-Ålesund is situated in Kongsfjorden. It was from here that Amundsen and Nobile started their heroic expeditions to the North Pole. Two other courageous attempts to reach the North Pole started on the island of Danskøya. Swedish explorer Andrée made an attempt with a hydrogen balloon and American journalist Wellman started with an airship. There are still interesting remnants from these expeditions left on this site.Magnificent fjordsSvalbard offers the visitor countless spectacular fjords. 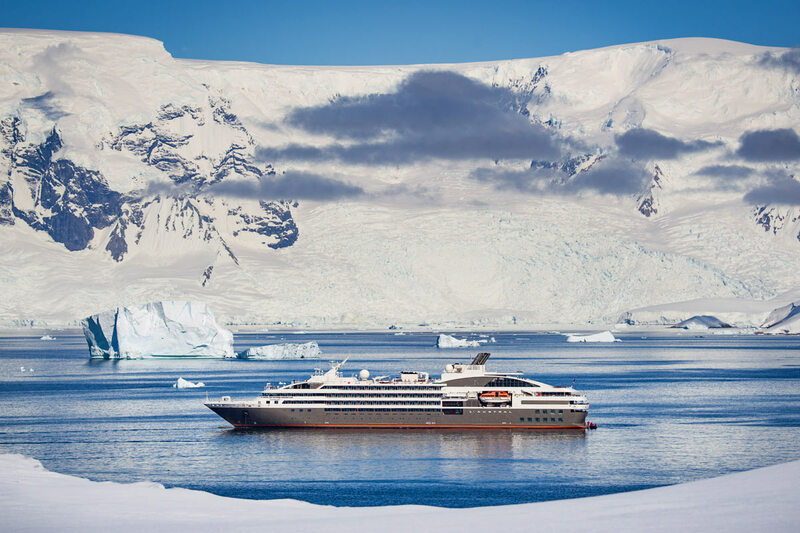 During our journey we will explore a few of them such as: Liefdefjorden, meaning “The fjord of love”, is lined with snow-covered mountain peaks and here we hope to cruise along the face of the spectacular Monaco Glacier. Many common eiders and pinkfooted geese nest in the area. In Krossfjorden we revel in the beautifully sculptured front of the 14th of July Glacier to the raucous greeting of the large number of kittiwakes and Brünnich’s guillemots nesting on the nearby cliffs. Raudfjorden is an area of immense natural beauty – dominated by beautiful glaciers. It is also a favourite spot for seals and the bird cliffs are bursting with activity.Hinlopen Strait and AlkefjelletIf the ice allows we enter Hinlopen Strait. Here is Alkefjellet, an impressive, basaltic cliff, which is the home to an estimated 200 000 Brünnich’s guillemots. We may also continue into the beautiful bay Palanderbukta on Nordaustlandet.Eastern SvalbardThe island of Nordaustlandet is covered by an enormous ice cap and fascinates naturalists as well as historians. There are huge glacier fronts here, intersected by hundreds of waterfalls. Barentsøya and Edgeøya offer magnificent landscapes and vast tundra. Chances to encounter walruses, Arctic fox and Svalbard reindeer are good here.Southwest SpitsbergenThe grand fjords of Hornsund offer spectacular glaciers and a breathtaking landscape of towering mountain peaks, often reaching above the clouds. On a clear day we can see the summit of the highest mountain Hornsundtind, measuring 1431 meters. Hornsund is a favourite haunt for some of Svalbard’s polar bears and bearded seals are often seen resting on the fjord ice. Our exact route will depend on ice, weather conditions and wildlife. The places mentioned are just examples of some of the many sites Svalbard has to offer. We always strive to maximize your experience. Please remember that flexibility is the key to a successful expedition! Vessel Type: Expedition Length: 66 metres Passenger Capacity: 53 Built / refurbished: 1992 / 2005 / 2018 Normal 0 false false false EN-NZ X-NONE X-NONE M/S Quest was built in Denmark in 1992 to serve as a ferry on Greenland`s west-coast. In 2004/2005 she was redesigned as an expedition ship and has now a career as a small and comfortable expedition vessel. She was extensively renovated in 2018. Quest takes 53 passengers in 26 cabins, all with sea-view and private facilities. The triple cabins on deck 3 have upper and lower berths. All other cabins have two lower berths or a double bed. In your cabin you also find a desk with chair and ample storage space for clothes and equipment. The superior cabins on deck 3 and 4 are spacious and have a separate sitting area and TV/DVD. The Owner`s cabin, next to the Captain`s cabin, on deck 4 has a double bed, two large picture windows, a sitting area and TV/DVD. The owner’s cabin has a double bed, two large picture windows, a separate seating area and TV. In the dining room you are treated to delicious meals in between landings and in the panorama lounge you can enjoy breath-taking views of the surrounding landscape. Here you can listen to entertaining talks on the area’s flora, fauna and history. In the lounge you also find a bar and a small library. The ship has spacious observation decks, where you can enjoy the beautiful vistas. Passengers are welcome on the bridge around the clock and there is always something to see or search for. You are welcomed by an international crew and the atmosphere is relaxed and very friendly. There are five Zodiacs and five guides on board M/S Quest.